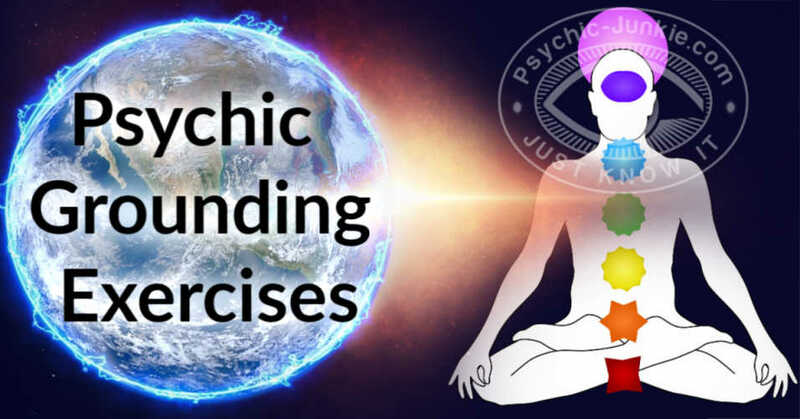 Psychic Development - Chakras - Psychic Grounding Exercises. Playing in the psychic sandbox requires advanced grounding techniques and know how to have continuous healthy energy boundaries. This skill will not only boost confidence, but it will also provide protection and healing to your aura and physical bodies. Psychic Grounding expels unwanted or excess energy such as from anger, anxiety, stress, trauma and even static charge from cars, public and other equipment. This is the same concept as grounding a house of excess electric charge with a grounding wire, to be exact. Grounding restores your link with your source while strengthening your awareness. Spiritual grounding, in short, uses your physical body as a conductor of the earth's energy. You create a 'bridge' between your physical and spiritual selves if you focus on effectively grounding. You are grounded when you have healthy energy boundaries for your aura and physical bodies. You remain present and connected with your physical 3-dimensional self on earth. The act is often referred to as earthing because it is the practice that connects you energetically with the earth's core through your Chakras. Chakras are one of the basic elements of spiritual structure in the body. They specifically affect our consciousness, health, and wellness. When Chakras are clear they are healthy and if they are blocked they are dark and murky. While following any psychic development regime it is good to practice daily the grounding of each Chakra, one at a time at first. After several weeks, you may try psychic grounding every few days. However, always be sure to give yourself time at least one time each week, even professional psychics recommend this. To begin sit in a comfortable position on the ground or in a chair with your feet touching the ground. Work on calming your mind and envisioning your body growing tree branches from your legs that extend down deep into the earth. Imagine these branches reaching the core and connecting. Through this connection, the earth allows the acceptance of ourselves and sends back grounded energy to fill us up. These energies will travel up our feet and into each of our 8 Chakras. As this energy passes, imagine a wheel turning and activating the associated emotional response. Once you have given each of these 8 Chakras your thoughts, and grounded them through this rooting process, you can imagine a warm golden sun beaming upon you. This warms you up with healing energy. Feel this energy pulse through every inch of your body. Slowly feel the sun fade away and then feel your roots slowly let go. Always follow up a grounding with light stretches and slow movements. Aromatherapy works great to keep yourself in the present moment and promote more healing. Just remember that Grounding is an important tool to use often. It is essential if you are a psychic or tarot reader to keep yourself grounded.